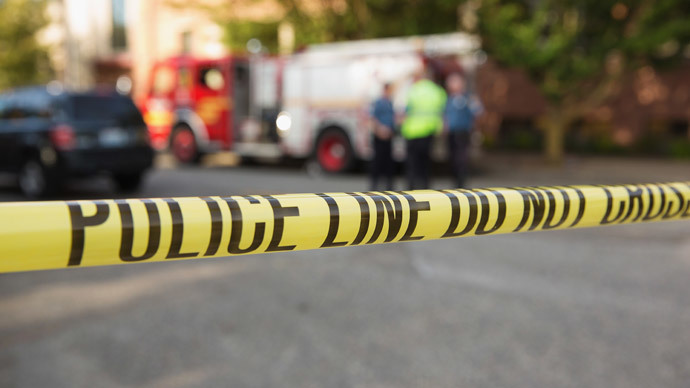 One teenager was killed by a gunshot wound to the head and several other people were injured in a shooting at a Mother’s Day bike blessing in Newark, New Jersey. The shooting took place near Springfield Avenue and South 19th Street during a motorcycle blessing event, according to WABC. At least three victims injured by gunfire have been taken to a hospital, NJ.com reported. damn! 4 people shot, one dead at Newark's annual Mother's Day Bike Blessing. i was jus there. something told me to leave. my heart aches! Police told local channel CBS 2 that they believe more than one gunman was involved. The suspects were reportedly riding motorcycles or ATVs. Horrified witnesses who saw the body of the reportedly 16-year-old black teen took to social media to decry the crime and express sympathies to the victim’s mother. Hundreds of bikers and onlookers were out in the street at the time of the shooting. Nevertheless, there are still few details available concerning the incident. Homicide detectives were investigating at the scene, a chief assistant prosecutor with the Essex County Prosecutor’s Office, Thomas S. Fennelly, has confirmed. The “Blessing of the Bikes” annual event was meant to mark the beginning of the biking season.